For those who are looking for a quick hideaway from the crowded city, Jakarta, perhaps Puncak (means Peak) is one of the choice you have. 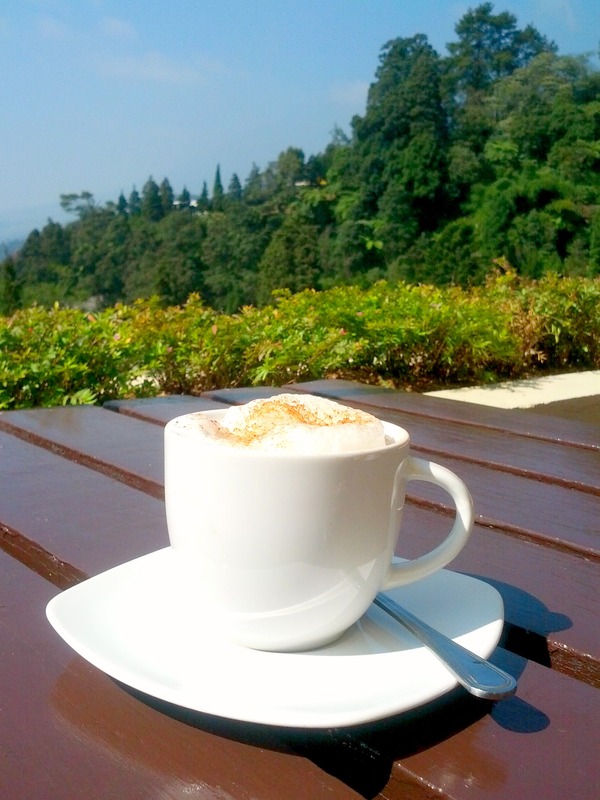 This place has a beautiful view of tea plantation, botanical gardens, some small theme park for kids, and local restaurants which is good enough for those who are starving. Well, people said, Puncak is a little piece of paradise in West Java. It used to be actually. Not until people are beginning to throw trashes everywhere and brings too many member of their families every weekend so that Puncak is always wayyy too crowded every weekend. Although Puncak is only 90KMs away from Jakarta, it may took longer than 4 hours of driving here due to the traffic jam in holiday season. And in some occasion, the road up the mountain remain closed for one-way traffic only. So if you’re lucky to get there when the road on the direction you’re going is not closed, you’ll make it in 2 – 3 hours. Otherwise, you might have to wait for over an hour or so sitting in your car until the direction change. I was lucky anyway, so it took only 2 hours of car-driving from my grandma’s house in Central Jakarta to reach Puncak. Note this : If you wanna be lucky just like I was, just start driving at 5 am in the morning and there’ll be no traffic jam at all. You’ll make it just in time. As soon as we reach there, we made our first stop at Puncak Pass Restaurant, our favorite restaurant here since like… years ago. Breathing some fresh air while enjoying your morning coffee is always a pleasure. We also ordered Poffertjes – a traditional Dutch batter treat which tasted like a fluffy pancake (which is sooo great), chicken porridge, and sunny-side up eggs. What a nice breakfast to start a day with. 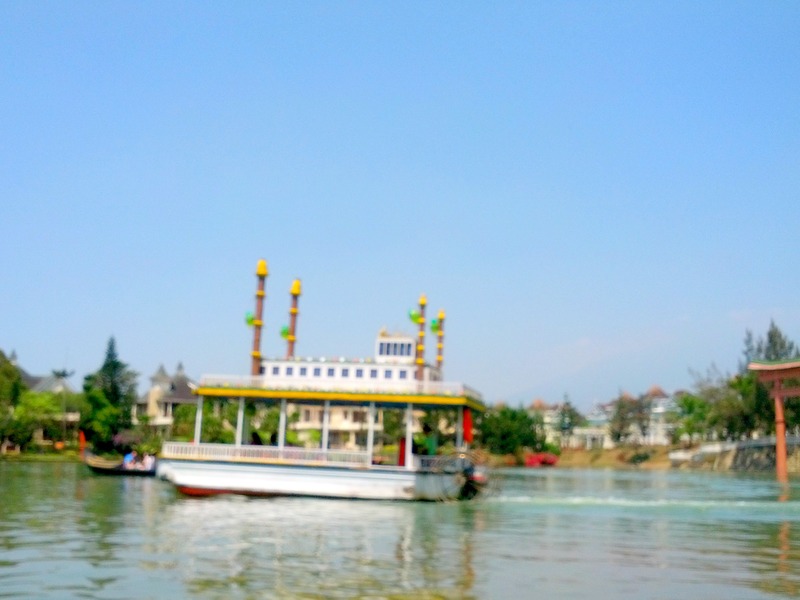 Then we went to Kota Bunga (means Flower City, literally), which has a beautiful area called The Little Venice. I’ve never been to the real Venice before. 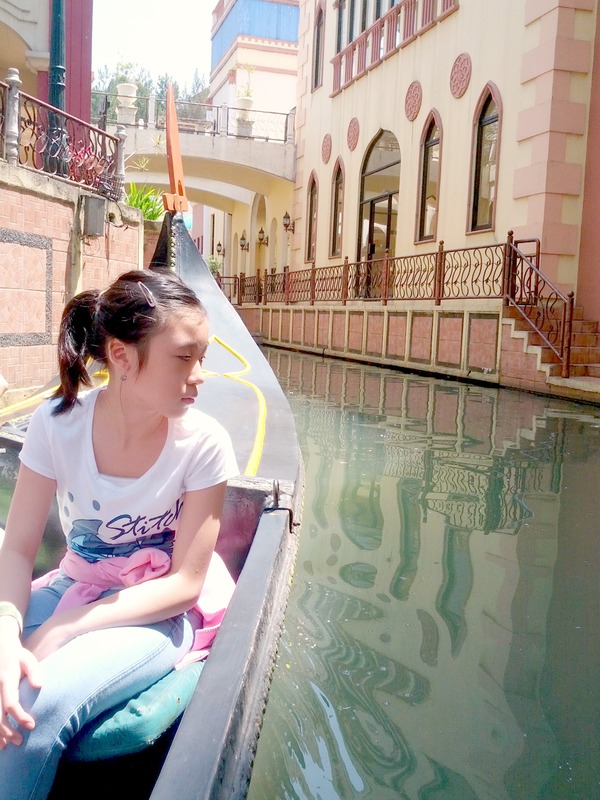 But riding on a gondola here is fun! I’m gonna go to the real Venice someday for sure! Here, the gondoliers didn’t even play music and sing Ave Maria for us. We also went to the Green Apple Theme Park. 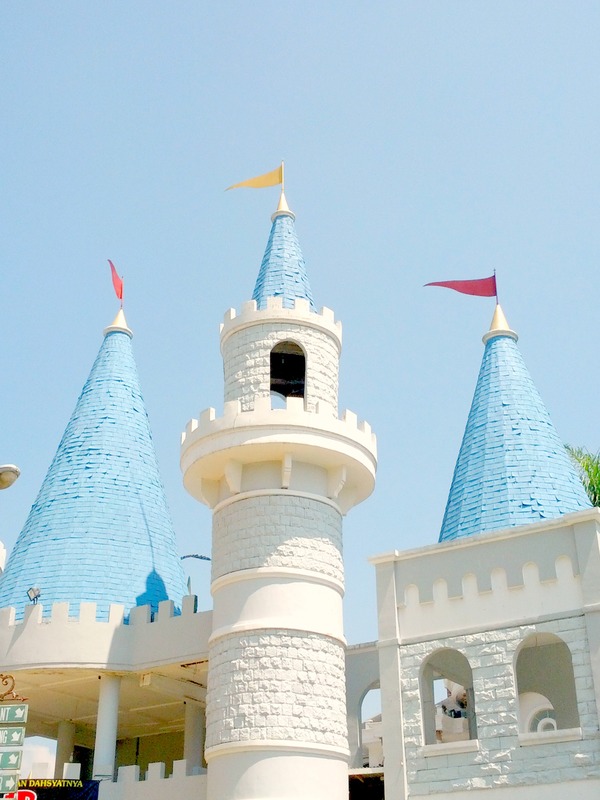 It’s located just in the same area with Green Apple Villa. It’s quite small and old. But some of the architecture there is unique. I feel like I was in a wonderland that day. For those who might be asking about the accommodation, don’t ask me since we lived in our aunt’s villa. 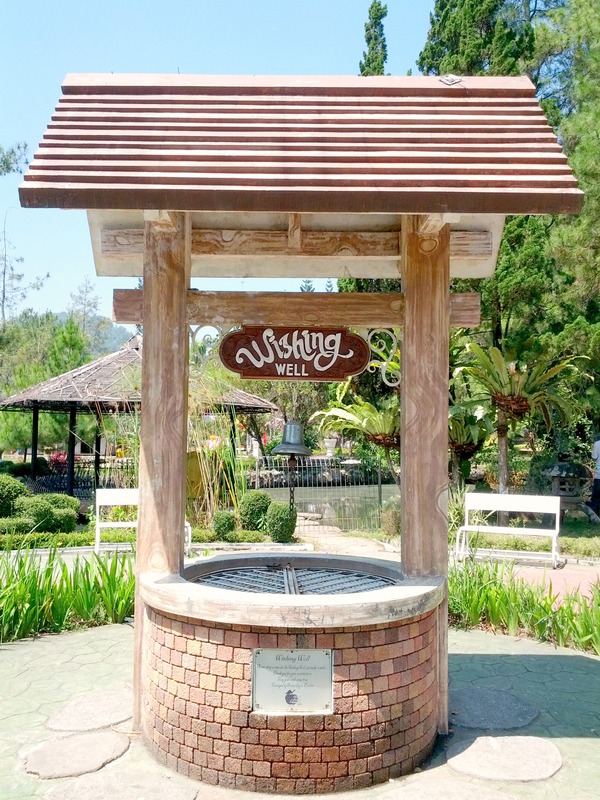 But, it’s a common option among locals or tourists, however, to rent a villa in Puncak. It may costs cheaper than renting a hotel room. Jl. Raya Puncak (the highest point in Puncak area). The Green Apple THeme Park looks amazing! I will have to check it out next time! And Kota Bunga looks so beautiful!!! I wish I had known about them before since we were there just this week!